Baan is located within Alibabar, on the corner of Joo Chiat and East Coast Rd, opposite i12 Mall. Every time I go to my yoga practice, I pass it. So of course, one day I had to try. 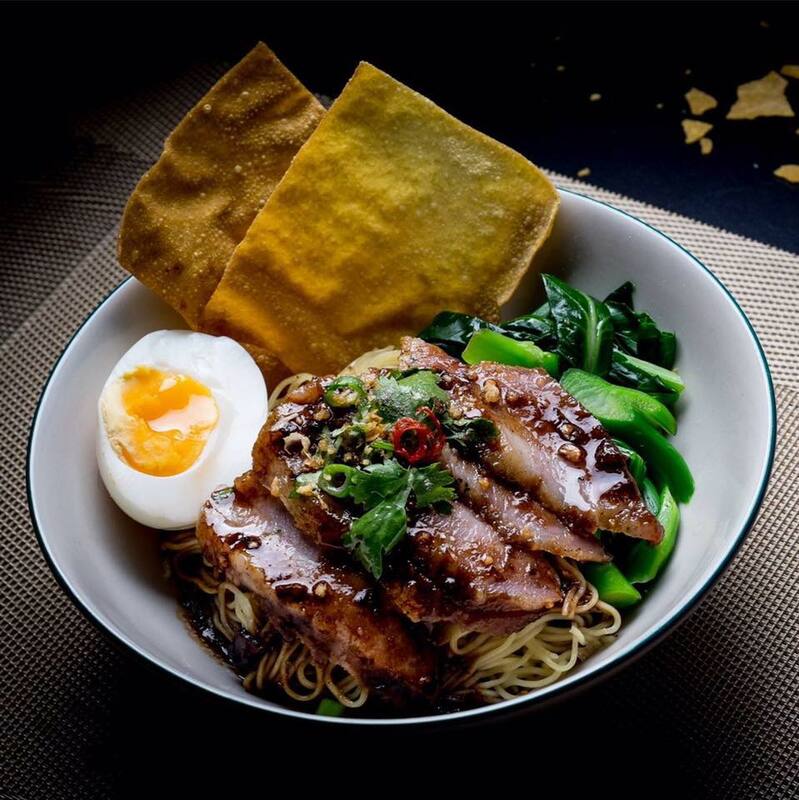 The signature dish is the Wanton Mee. It is featured in the shop, on each table and in fact, a reviewer from the local paper gave it such an amazing review. They love to feature it and below is the photo that they use. It’s used in describing the dish as well. 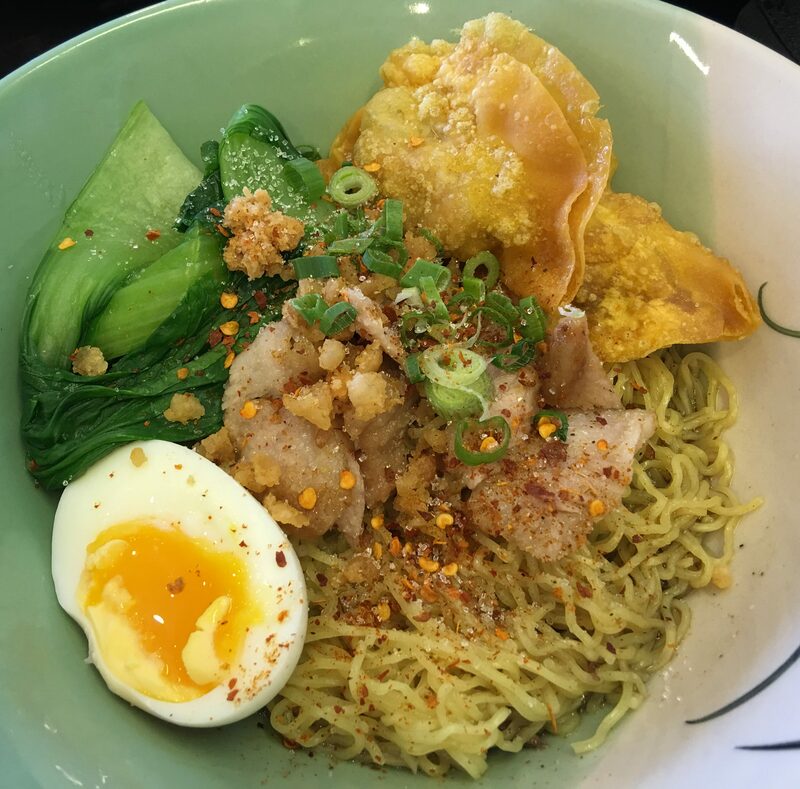 From the well marinated pork collar to crispy wontons to the great egg. What a beautiful picture right? The dish looks so delicious! Here is what you actually get. The egg, veggie and noodles look about right. Come on, make an effort to come close to what you advertise. The taste is so-so, not an out of this world experience. Am I coming back? No. 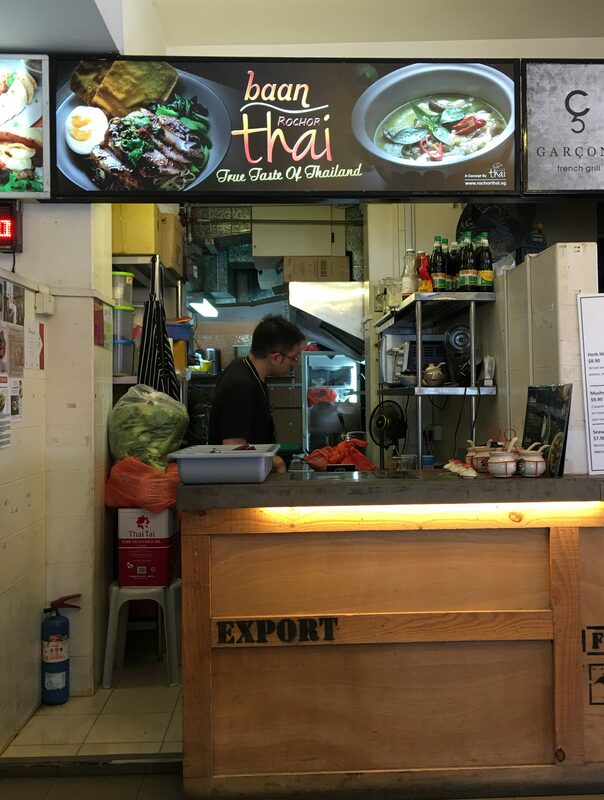 Posted in Singapore, Thai, Wanton MeeTagged Joo Chiat, Thai, Wonton MeeBookmark the permalink.